If you are purchasing a new Center City condo, and you are fortunate enough to have a developer who will allow you to choose some finishes, here is what I suggest you upgrade for maximum impact. 1) A Viking Stove is a must. I know you really aren’t ever going to use it, or read the manual to find out how the convection part of your stove works. You don’t have to. Just get one. It will envelop the condominium, and put a halo effect on the entire kitchen, if not your entire condominium. Think of the resale value. Stainless steel Viking stoves just don’t go out of style, nor do the visual style of such change yearly. It is a status piece, and every buyer knows it. 2) Panel the dishwasher. Have the developer/seller install a piece of matching panel cabinet piece over the dishwasher. It will make the kitchen appear to be larger. And it is not like someone is going to walk into your new condo and be impressed that you have a dishwasher. Everyone has one, so hide it….with the same wood façade used in the rest of the cabinetry. 3) I don’t think you necessarily need to grossly oversize your refrigerator. Just make sure the developer gets one that fits. We have all seen refrigerators stuck in spots that are twice the size needed for that refrigerator. Not only should it be the correct depth, but height is important as well. Make sure it fits…and fits well. 4) Wallpaper a bathroom. It is really amazing how almost all decorated condo models in town have bathrooms that have been papered. The look packs quite a punch, and is not a touch seen outside of units done by designers. Not only will your new touches give you much use and enjoyment in your new Philadelphia condo, but your potential resale value will be greatly enhanced, as you add more “emotion” to your new Rittenhouse Square condo, or your Old City loft, perhaps. So you would like Brazilian Cherry floors for your new Philadelphia condominium? I like them too. They are nice and dark, and have a nice tight grain embedded into the look, and there are small variations within each of the planks which gives the flooring an interesting appeal. However, you need to know that I have witnessed a LOT of Brazilian cherry floors that suffer from discoloration, when covered…for even short period of time. I was once remodeling this Rittenhouse Square condominium, and I had the Brazilian Cherry floors, installed, and had the painter into to paint the walls. He had dropped a drop cloth over the floors for a 4 or 5 day period, and when the drop cloths came up, the floor DIRECTLY under the drop cloths were now a different color than the portion of the floors that had NOT been covered. What to do? Well, I would suggest that if you plan on covering a portion of your new floors with area rugs, you avoid Brazilian Cherry floors. I have seen on numerous occasions such discoloring in many sections/area of new floors of this type. Does anyone out there know of a solution to this affect on Brazilian Cherry floors? If so…let me know! Some Philadelphia Condominium Associations Just don’t seem to get it! 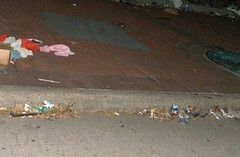 Why do I have to show a condo in a well run condo building, to see trash strewn about the front sidewalks? 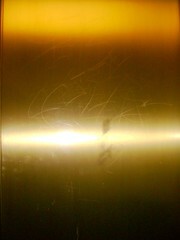 Why do the elevator doors have graffiti scratched into the paint? And why are there light bulbs out in the common hallways? But I do. 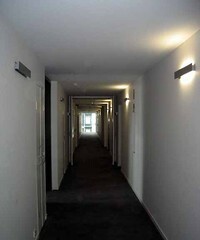 From the bicycle tire marks on the common hallway walls, to front doors which DO NOT shut and latch properly. THIS IS MANAGEMENT 101 here folks. A buyer’s impression of your Philadelphia loft or condo is, by many accounts formulated prior to the buyer stepping foot into your unit. Especially if that buyer has to endure a smelly elevator, a dark hallway, and the neighbors personal effects sitting outside their door. Condo rules are there for a reason, and sometimes it is up to that particular Philadelphia condominium association to be the bad guy, and enforce those rules. The lasting effect is a much improved perception of the building by those buyers looking to potentially purchase within that building. And hopefully, a quicker resale and possibly a higher resale price. Working With More Than One Philadelphia Realtor in Order to Find Your Perfect Center City Condo? Fine. No problem. Just please make sure that one of those agents is NOT me. I am just not interested. Now I don’t mean to be a snob here, or anything, it is just that I am not interested in spending time with you, getting to know your likes and dislikes and teaching you all I can in the time we spend together, in order for you to take that knowledge, and spend it with someone else. I get buyers who say, “Well, I am not going to work with just one Realtor“…and that is fine. I don’t think you are doing yourself any justice but working with many Realtors is your choice. Just please, leave me out of that mix.I tell buyers that they may work with any Realtor they choose, and if I am not doing my job, we don’t happen to click, or you are just plain sick of me, then PLEASE….go find another Realtor. It would be best if you did. I hope you and I don’t have to cross that bridge, but if the case does arise, I suggest you go find another Realtor. But not while you and I are in the process of searching for your new Philadelphia condominium. Working with a Realtor is like dating. You are free to choose whomever you’d like. But double dating is just crossing the line in the minds of many Realtors. 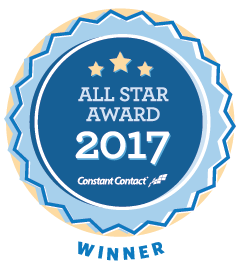 I hope I earn your trust and dedication through my hard work, my honesty, and my knowledge of all Philadelphia condominiums. And if I should let you down, or if you find someone who you like better than myself, then I would encourage you to “jump ship” to that other Realtor, but please….let me know if you plan on seeing two Realtors at the same time, and allow me to back out before anyone gets their feelings hurt. Yeah, uh…no thanks. But if you are a buyer who may be ready to make somewhat of a “commitment” please give me a call at 215.521.1523 or drop me an email at Mark@CenterCityCondos.com. Stop reading this blog, and go take a look at the inside of the closets in your Philadelphia condo. Or, if you are a renter, look at your existing closet space. Kinda’ cluttered, eh? 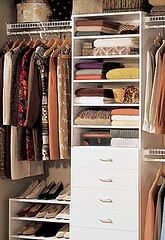 Closet organizing systems are relatively inexpensive, easy to install, and can be found at IKEA, Lowes, and Home Depot. You needn’t spend top dollar on these organizers.First…go to one of the stores mentioned above, and pick out a style, color, and any groovy add-ons…like drawers, hampers, valet hooks, etc. 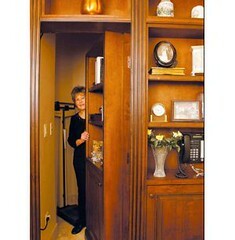 Get measurements of your existing closets, and go estimate the price to purchase. Next, go to my website, and click “Vendors“…and call either Mario or Dave. You might want to have them meet you at the store, haul them back to your Rittenhouse Square condo, or Old City loft, and have them assemble the shelving/organizing units. WHY organize your closets? Simple….first of all, your will probably double the actual usage of your closets. With “double hanging” your clothes (one high rod, one low rod), and adding shelves, etc. you will certainly get more usage out of the space your have on hand. And your closets will not only look better, but you will be better organized in order to find your things when you need them (aka- you are late for work). but most importantly, you will benefit greatly in terms of resale value. Buyer LOVE LOVE LOVE closet space. Especially closet space that is well organized, and looks efficient. If a buyer walks into your Center City condo, and it appears that your CRAP is strewn about, and that you are growing out of your space, then they will assume the worst, and guess that the closet space will not be enough for their needs as well. Give the gift of a good first impression. Organize your closet space, get rid of the crap you don’t need, use, or want, and allow that heavenly closet space to have an effect ( a positive one!) on the buyer who may be considering purchasing your Philadelphia condo or loft! For a fast $1000 investment, I am sure that you not only will get more $$ back in resale, but you also get the use and enjoyment of having a more organized life! Your Center City Condo Furniture & A Great Cause ~ Uhuru Furniture & Collectibles! One of the big decisions you will make when moving in or out of your Center City Condominium is whether or not to keep your current furniture or purchase new. Sometimes the furniture that looks fabulous in your Rittenhouse Square Condo, just doesn’t quite fit in well with the style of your Old City loft. So, what are you going to do with the furniture you won’t be using any longer? And where are you going to shop for replacements? This wonderful organization here in town, “Uhuru Furniture & Collectibles” at 1220 Spruce St. can be an excellent resource! They are a nonprofit, used, furniture store in Center City Philadelphia and they have relationships with a number of condominiums, property managers, and apartment complexes in and around Philadelphia. They pick up donations…FAST and FREE and all donations are tax deductible! The folks at Uhuru pride themselves on being a highly professional, committed, personable, tenacious, and punctual team of staff & volunteers whom you and your customers will come to appreciate greatly. They are also flexible in order to meet your particular needs. I am often asked by a Philadelphia condo owner to offer tips on getting their condo to “Show Well”. 1) Go to Ikea, and buy a floor to ceiling curtain. Perhaps deep chocolate brown. 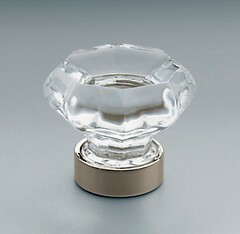 Hang it fromt he ceiling, or at ceiling height, in front of your bathtub. This is not going to take the place of your shower curtain, it is simply going to add some dramatic effect to the bathroom. It is quick, cheap, and has a powerful punch in terms of the emotional appeal of your Center City condo. Don’t believe me? Walk into any professionally decorated model home….see for yourself. 2) Paint an accent wall. Preferably, one that is opposite the entrace to any given room. I like to see fireplace walls accented in a somewhat neutral, yet enticing color. Like a chalky blue, or green. Don’t try yellow. You will get it wrong. Everyone messes up yellow. If you are going to do yellow, try using Duron’s “Delicate Cream”. Painting an accent wall will give a hint of flavor to a room, without overpowering the room with massive color. And again, keep your paint choice to the neutral edge of life. No strong bold colors please. That is it. Three quick easy steps for maximizing the interior “curb appeal” to your Philadelphia condo! 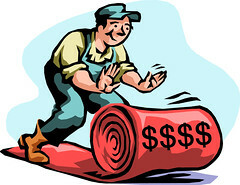 1) Most condo doc rules state that 70% of the floor area must be covered with carpeting. I can’t tell you how many times this rule is violated. I would have to guess about 95% of the time. Could mean more noise transferring throughout the building…..
2) All Philadelphia condo doc rules state (all that I am aware of) that you cannot have a BBQ or grill on your deck. 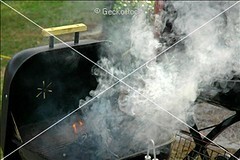 At least from the way I understand it, a BBQ that uses anything other than gas or propane to heat the food. A good strong wind could blow away hot BBQ bricketts, I think is the logic there. Violated all the time. 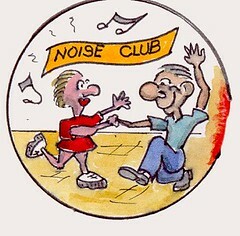 3) No loud or offensive noise coming from a TV, or stereo, or just loud rowdy behavior after say 10 or 11pm. Like that never happens…. 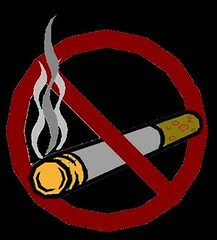 4) No smoking in common area. Remember back in the 70’s or 80’s when you would get into an elevator with someone who was smoking, and it was acceptable? It’s not anymore. Or in the foyer, or the common hallways. 5) Pet Restrictions. I see weight limits being skirted all the time. 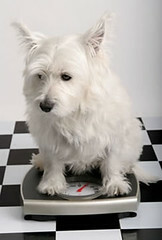 I actually am in favor of this, as some pets get old, and like a few K-9’s I know, overweight. I think old dogs should be exempt from this rule, even if they are large to begin with. So it begs the question, should you, or should you not closely police the rules and regulations of your current Philadelphia condominium documents? You decide….I would have to guess that the most annoying complaint of all the above would be the lack of quiet after a certain hour of the night. I think if I were in charge of the association, I would be crackin’ the whip on that issue. I have been in countless number of Philadelphia condominiums over the years, and I would have to say that a few of the coolest things I have seen in these homes, are some very cool, almost James Bond like features to Center City condos. 1) The hidden wall safe. Cliché in nature, and a bit trite, but very cool. I have even seen wall outlets that are little mini safes. Very discreet. 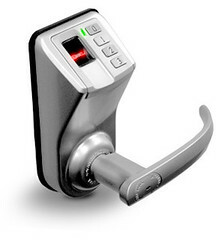 2) Fingerprint door locks. Simple to install, and very hip, these locks open only when you press your thumb over the scanner, and the scanner recognizes your thumb as belonging to you. Hopefully. 3) The secret room hidden behind a door that swings on a piano hinge. I once saw this in a condo in Queen Village years ago, and it about knocked my socks off. Like a kid’s dream come true…. Just thought I would share with you a few things I have seen in this town that were a bit on the unusual side of things…..and very sure to scratch the itch of every spy novel fan here in town…..